As a marketing agency we work with lots of funky fonts all the time, it can all get a little bit confusing. Those tiny fonts are extremely hard to read! Now there is a solution for those who struggle with words jumping all over the page – an open sourced font has been launched for Dyslexic people all across the world. 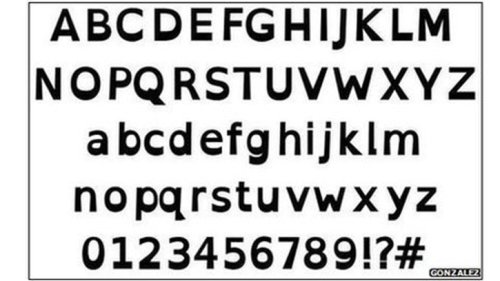 The OpenDyslexic font was created by Abelardo Gonzalez, a mobile app designer who saw the market needed a font that could be accessed by anyone with dyslexia. Other fonts were too highly priced for the average joe! Now the font is picking up speed and being used in the popular app Instapaper – an app which lets you save webpages to read later. Amazon and Sony have also commented they may use the font for their e-readers. According to statistics from the British Dyslexia Association (BDA), about 4% of the UK’s population has a severe form of the disability. “As a dyslexic, I find this font very easy to read and reduces the effects of visual stress that I experience,” said Arran Smith, the group’s project officer. For those of you eager to use the font, you can download OpenWeb – a free web browser app! Thanks for the reblog and comment! No problem – glad it helps!